Millennials — a generation who came of age in the wake of the Great Recession of 2008 — have historically low homeownership rates despite entering the age bracket during which Americans of previous generations have typically started buying homes. 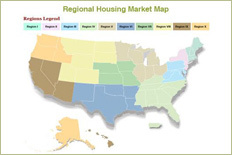 The Toledo Housing Market Area (HMA) sits on the Maumee River in Ohio and borders Michigan and Lake Erie. The supply of housing in the United States that is affordable to low- to moderate-income renters and homeowners (those earning up to 140 percent of area median income) remains insufficient to meet the demand. The District of Columbia (Washington, DC) is the capital of the United States and part of the Washington-Arlington-Alexandria, DC-VA-MD-WV Metropolitan Statistical Area. California, and the Bay Area in particular, is in the midst of a well-documented increase in housing costs and decline in affordability. The Downtown Chicago Housing Market Area (HMA) is part of Cook County, Illinois, which is the central county of the Chicago-Naperville-Elgin, IL-IN-WI Metropolitan Statistical Area. The Austin-Round Rock Housing Market Area (Austin HMA) consists of five counties in central Texas — Bastrop, Caldwell, Hays, Travis, and Williamson — with an estimated population of 2.16 million. Homebuyer education and housing counseling services are designed to educate consumers about the homebuying process and the benefits and risks of homeownership. The Baltimore-Columbia-Towson Housing Market Area (Baltimore HMA) is in central Maryland and includes the city of Baltimore and the surrounding six counties of Anne Arundel, Baltimore, Carroll, Harford, Howard, and Queen Anne’s. 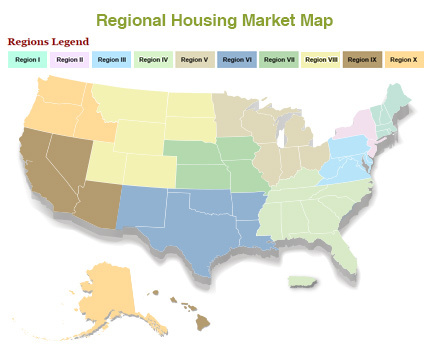 In this column, Kevin Kane, PD&R’s Chief Housing Market Analyst, highlights how HUD’s Comprehensive Housing Market Analysis reports provide insight into local economic and housing market conditions. Is There a Slowdown in the Apartment Market? A recent article in the Wall Street Journal posed the question of whether the national apartment market is cooling down. After years of high demand for rental housing, recent data suggest that supply may have finally caught up. In this column, Drew Zachary, Policy Advisor at the White House Domestic Policy Council, discusses the Opportunity Project, a program that exploits open data sources and provides tools that enable greater access to opportunity for all Americans. Cities across the country are struggling to meet their residents’ demand for rental housing. The result: rapidly rising rents that often make housing unaffordable for low- and middle-income families. As more people have looked to rental housing as an alternative to homeownership over the past 8 years, researchers have renewed their focus on the importance of rental market conditions in analyzing the overall housing market. Watford City, North Dakota, the county seat of McKenzie County, stands at the southeastern edge of the Bakken oil fields. Domestic oil and natural gas markets benefited from strong demand and higher oil and natural gas prices in the early part of this decade. The steady growth in the national labor market has been one of the major stories of the current economic recovery.